In a large bowl, cream the shortening, butter and sugar until light and fluffy. Beat in the egg, milk and vanilla. Combine the flour, cocoa, baking powder, salt and cinnamon; gradually add to the creamed mixture. Cover tightly and refrigerate for 8 hours or overnight. On a lightly floured surface, roll dough to 1/8-in. thickness. Cut with a lightly floured 1-1/2-in. 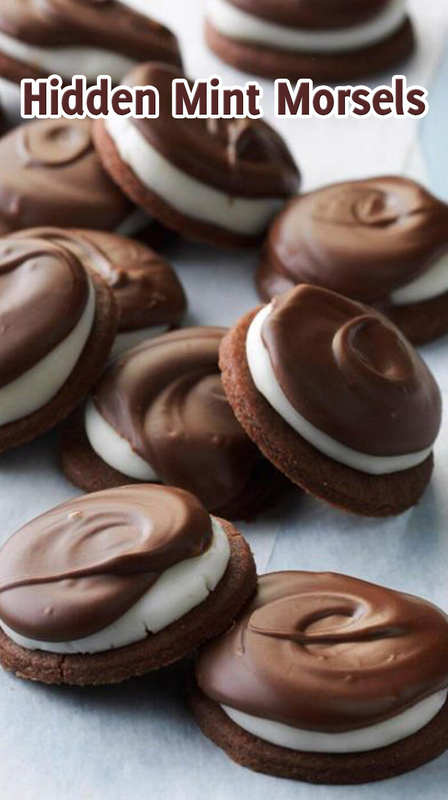 round cookie cutter; place on ungreased baking sheets. Bake at 375° until set, 6-8 minutes. Cool for 2 minutes before removing to wire racks to cool completely. In a large bowl, combine all the peppermint layer ingredients. Knead for 1 minute or until smooth. Shape into 120 balls, 1/2 in. each. Place a ball on each cookie and flatten to cover cookie. Place on waxed paper-lined baking sheets; refrigerate for 30 minutes. In a microwave, melt chocolate chips and shortening; stir until smooth. Spread about 1 teaspoonful over each cookie. Chill until firm.